Bali is oftentimes referred to the Island of the gods and is probably one of the famous names when it comes to island and beaches. 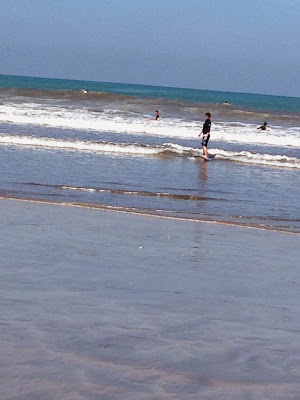 Being beach lovers, I've always had Bali in my go-to list. It was definitely on the shortlist for our honeymoon but the weather chose Bali against us. Then again, I told myself I'd go there some other time. J's 30th birthday came as a perfect excuse to go Bali and enjoy a weekender with the hubby. A little tidbit: the longer J and I travel together, and the more trips we share, I finally realized what our travel personality is. We're more on seeking culture, sightseeing, food trips and activities. We like to travel on a more "chill" level - not too rushed, not too fast-paced, and as we grow older (ahem! ), we tend try to prioritize comfort when choosing hotels to stay at. Over time, we've built a system when it comes to our travels. Between the two of us, I tend to plan and plot our itineraries and schedule our trips and budget, and J just approves and chooses when I'm stuck and need his help. During the actual trip itself, he handles the money and navigation and everything else so I don't stress over the little things. This works for us based on our personality and traits. It's good to have a constant travel buddy and I'm blessed to have J share my travels with. Traveling is a shared experience that bonds people, and while I love having J around to travel with for some couple bonding, I also enjoy traveling with friends and family from time to time too. 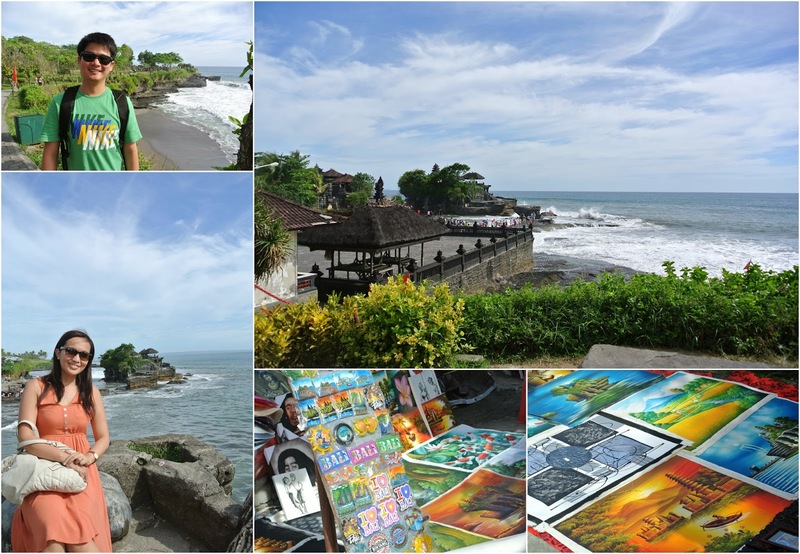 With so many tourist spots and tours to choose from, we decided to take the Bedugul tours as I wanted to see Bedugul and Tanah Lot more than anything else. 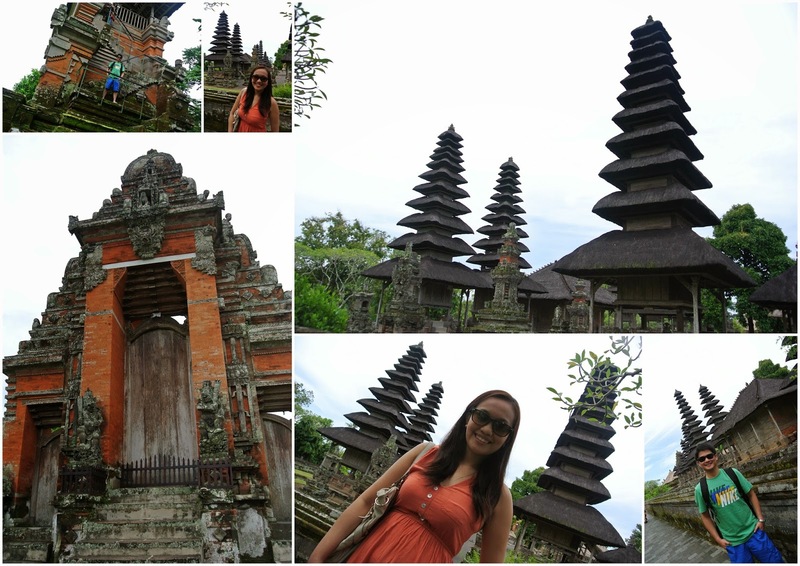 First stop was the Taman Ayun Temple. 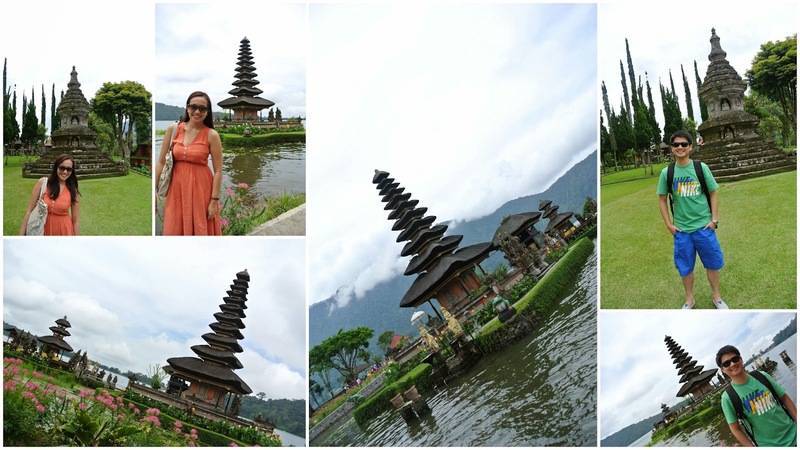 We then went to Purah Bratan at Bedugul. It was amazing to see the temple's backdrop - water, mountains and skies. The skies felt like it was within an arm's reach. Purah Bratan definitely offered us a one of a kind view. What is Bali without the signature rice terraces? We had lunch overlooking the rice paddies. It was a pretty sight. 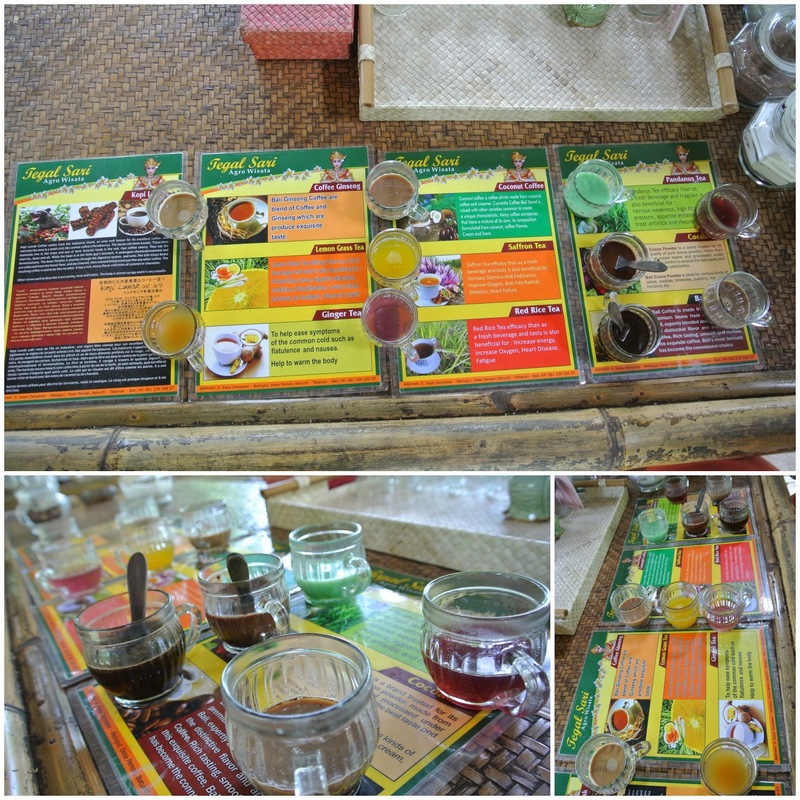 Then, a quick stop at Tegal Sari Bali Coffee Plantation where we had our taste of different flavors of coffee and tea. The flavors were mostly unique like mangosteen, coconut, pandan; while some were the usual and more familiar like ginger tea and mocha. We had a taste of Bali's version of alamid coffee (which they call luwak kopi), the kind of coffee produced by civet cats. The original plan was to enjoy the view of Tanah Lot at sunset but because it was too early we decided to skip the sunset view to avoid the crowd as well. 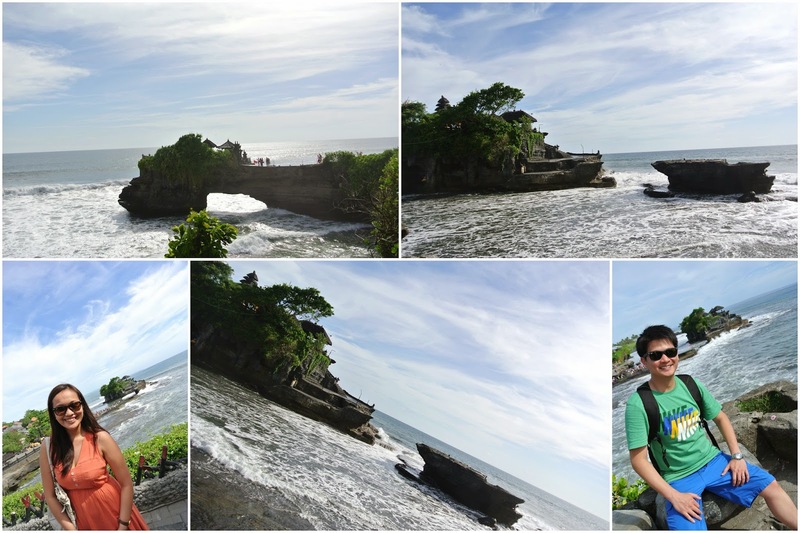 Tanah Lot is amazing! The cliff and rock formations reminds me of the the Twelve Apostles. A cliff, the ocean, and rock formations - what a great backdrop for a temple! With the sea breeze blowing and the sound of the swish and swoosh of the waves, it was amazing. I love sunsets. There's just something romantic about them. Watching the myriad of colors that go when the sun sets and dusk comes, ahhh.. I'm at a loss to describe the feeling when I look at the sky at that moment. It's just so awesome to see the sky as one huge canvas painted by the Painter, with each painting different each time. We watched the sunset from Discovery Mall's boardwalk and whoa, was it a pretty sight. 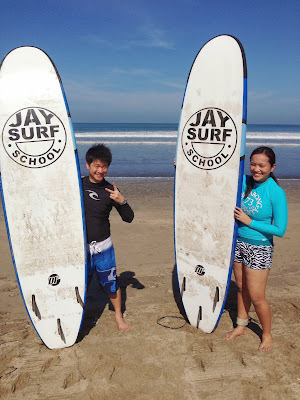 TIP: Go for a local instructor if you can, the sessions are private, so you get an instructor per person. This means that you get your hour's worth of lessons and the full-attention of the instructor. Plus, it's cheaper than going for the renowned surfing schools. I chose to book Harper Hotel because of its reviews and location, both which are important to me in choosing a hotel to stay. 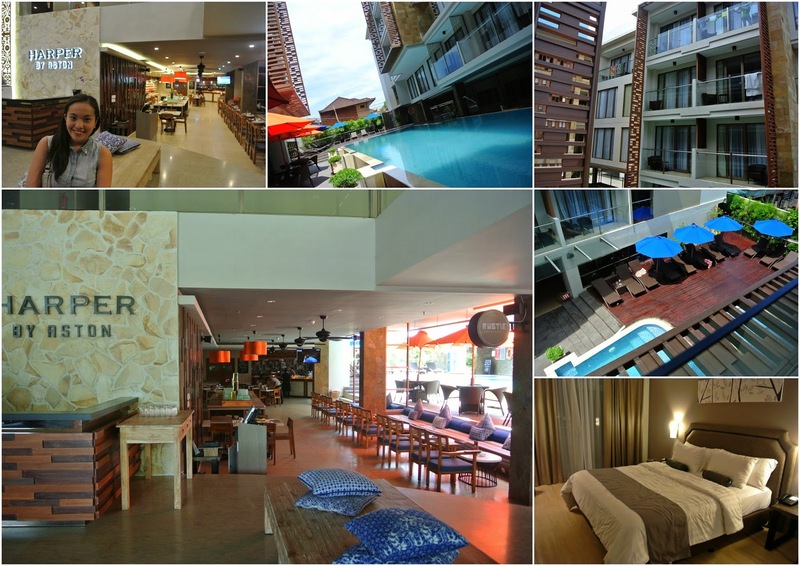 The place is new, rustic and is centrally located in Legian where the bars, malls, nightlife, stores are.The place is safe and secure too. Everything is within walking distance - even the beach is a good 10-15 minute walk away. The hotel staff are very accommodating and friendly, and very helpful with our requests. We will particularly recommend the guard, Wayun, who helped us when we had an issue with moneychanger (more on this below). The hotel also has an in-house spa where J and I treated ourselves to a much-needed massage to cap the trip. Our driver (and tours) was recommended by a friend. We highly recommend Made (Ketut's brother) as he is professional, friendly and a good driver. He is very accommodating to our needs and requests, and suggests some alternative places we can visit, something from a local's point of view. We felt we were in good hands with Made taking us around. Transportation around Bali is usually through taxi, rental cars, drivers or motorcycles. We opted to have a driver take us around to save us the time navigating and getting lost and taxis to go around from point A to B on our own. When we needed to take the cab to go to nearby restaurants, our hotel was always helpful to call one for us and our experience with cab drivers (we took the BlueBird taxi) was generally pleasant. All the time, we paid the metered fare too. As with any other unfamiliar place, one should be on guard at all times. At Legian where we were staying, a lot of money changers were sprouting at almost every few meters, each giving a "slightly better" rate compared to the actual market rate. That on itself should've given us alarm bells, but we let our guards down a bit and went inside one particular decent place to have our money changed. Two men were at a counter, they counted the money and gave it to J to count. After J counted, they "helped count" again. That was weird, yet I didn't take my eyes off them. Still, they managed to take a few hundred thousand rupiahs from us, which we discovered later on at the hotel. Thankfully, the hotel was just a few meters away so when we discovered the "magic" that took place and asked a guard to come with us to get the money back. We got the rest of us money, thankfully. Yes, it is bad that these people give Bali a bad name and it is unfair to the hardworking and honest Balinese people if I let one experience get to us, so I've learned to shrug it off and think of the happy times and awesome views instead. Lesson learned: If it's too good to be true, it most probably is. I'm not saying all money changers in Bali are illegal and cheats, but be on the lookout and always do a little research in terms of "tourist traps" so you won't fall prey. It will always help to be extra vigilant and prepared while traveling somewhere unfamiliar, something we sometimes forget when we're too excited and on a "high" to be in a new, unexplored place. True, our visit to Bali was short. We haven't had the chance to visit everything and try out everything but Bali left me feeling content and happy. 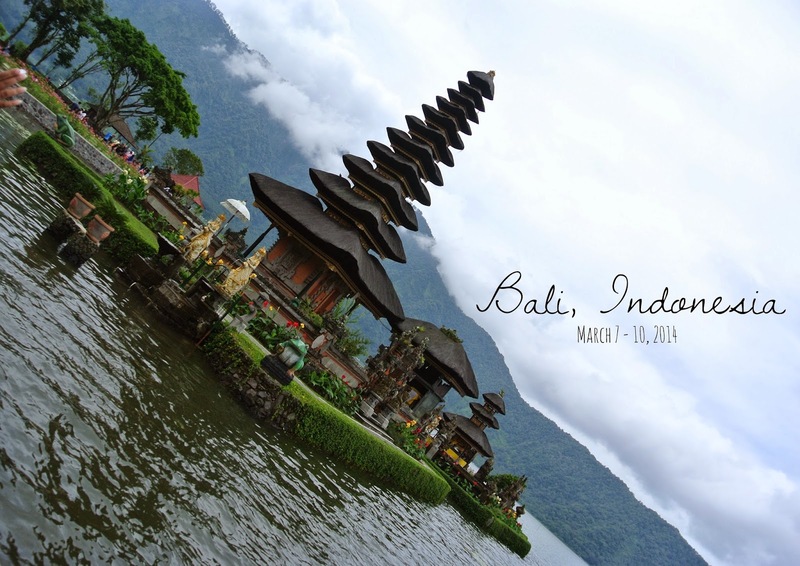 It's no wonder that Bali is one of the most-travelled tourist attractions. 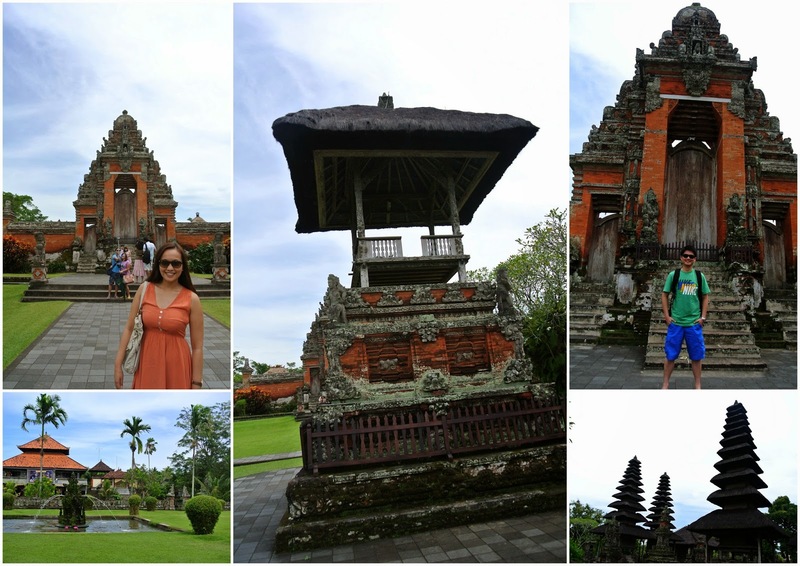 Bali sure had us captivated during our stay - rugged coastlines, sandy beaches, lush rice terraces, varied landscape and all.